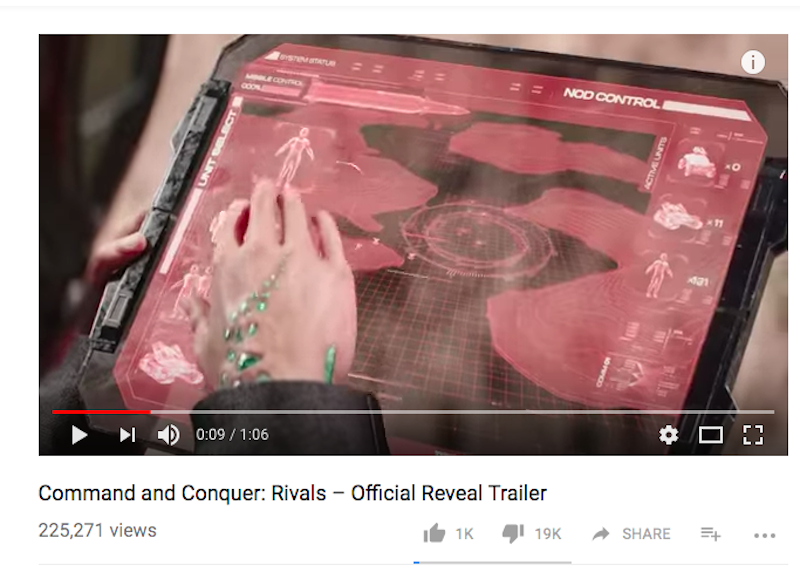 The strategy game’s “reveal” trailer isn’t doing much better. A thousand up. Nineteen thousand down. It’s about as easy to point and laugh at that kind of statistical debacle as it to smash the downvote button on a newly-announced game that most of us haven’t played yet. Both are understandable, though it’s a wonder how game companies keep allowing this to happen. Surely EA had to know the displeasure it was going to receive bringing back a beloved decades-old franchise not in any type of PC real-time-strategy game glory but as a competitive phone game. Maybe they did and are just gritting their corporate teeth through it, trusting that any wave of negativity online won’t impact this game’s ability to find an audience on mobile. Market research may show they’ll have the last profitable laugh. Then again, in the interest of being player-friendly, it sure would be nice if companies like EA would find a way to level with fans about the status of the franchise they’re awkwardly reviving. Go back to 2016 to another trailer-mass-downvote situation, when Nintendo brought back the Metroid series after a long hiatus with a four-player co-op game starring anonymous space cops. Is it not feasible to say: “We are also working on/considering other Metroid/Command-and-Conquer games?” Maybe try that next time? Game companies worry about how leaks might spoil the impact of a game announcement. But what about something like this? EA didn’t exactly set themselves up for a positive response. Perhaps there’s no way around it, though. Such is the nature of E3, when game-makers and gamers are operating in a mode of anticipation and the facts of the present don’t matter much. Publishers and developers try to convince players that the games of the future will be terrific, and players react by providing their user reviews far in advance.